This week’s photo challenge is guest hosted by Strauss Louw. Read on for more about this week’s theme and photography tips! Free Spirit. I chose this as the topic for this week’s photo challenge as it lends itself to so many possibilities for subject matter and composition. I work exclusively with film and believe this element is quite important concerning a theme such as the free spirit, as it allows for more experimentation and creative exploration due to how film reacts differently to light than a digital sensor would. To capture this idea of the free spirit, I would suggest breaking some rules. Sometimes it is necessary to overexpose a frame slightly and point the lens to the sun for a bit of glare to capture that sense of a different, free, moving reality. 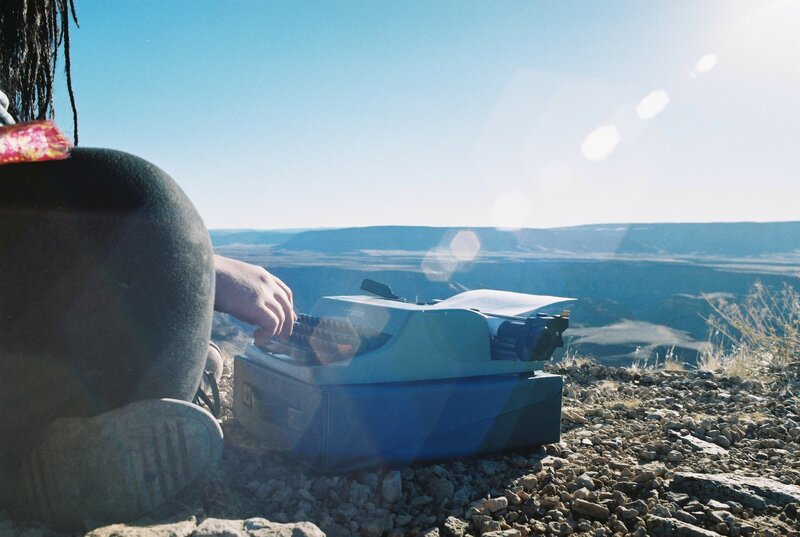 I shot this image at the Fish River Canyon in Namibia on a road trip with a dear friend of mine who likes writing and always keeps her typewriter close by. When she took it out and started writing at the edge of the canyon, it was just too perfect of an opportunity for some interesting shots to pass on. 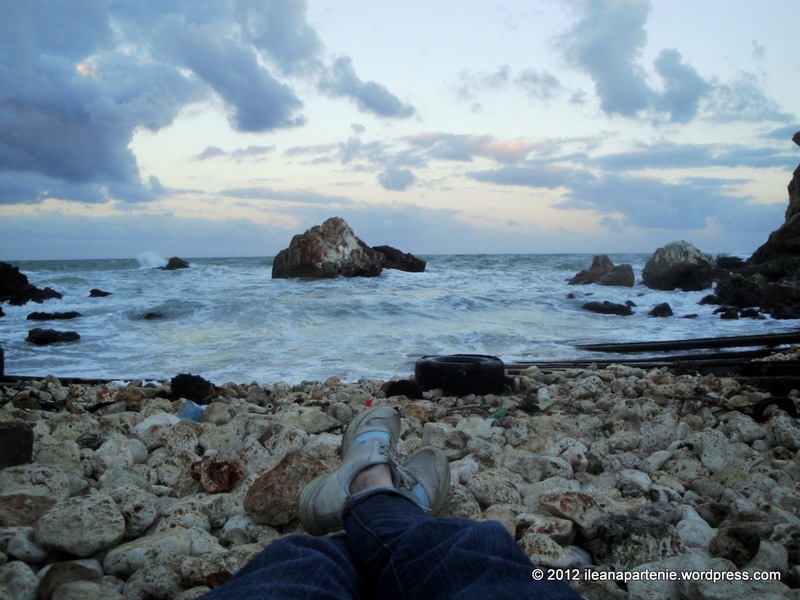 Share a photo—film or digital—that means FREE SPIRIT to you! Tip: When you start working with overexposing your images and shooting into the sun, it is necessary to be very aware of how much light you let into the camera and for how long. It is very easy to overexpose to such a degree that it ruins your image. I suggest to work with a low ISO, such as 100, and an aperture that allows quite a bit of light into the camera. Just be weary when it comes to the shutter speed. 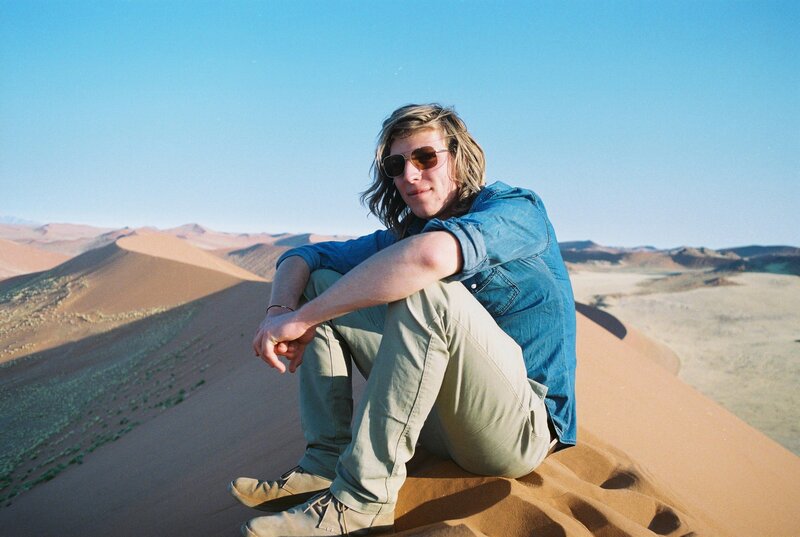 I am Strauss Louw, a design student at the University of Stellenbosch in South Africa. If I’m not working in the studio, I’m mostly out and around with my cameras, doing a lot of experimental work to further my knowledge on film. Whenever I do find a little bit of time, I like to share my images and write about them on my blog. Fun! However, I usually never take photos of other humans. Hope you all like my submission this week. You accidentally linked it to your edit page. We can’t access it! many thanks. very kind of you to point this out. By Collective photog Josefine. A joyfully perfect fit for Free Spirit! Here are some free spirits! This is my entry! I think that they do capture the feelings of a free spirit. Here is my entry! The ultimate free spirit…fire…..
My photo…a way to pursuit the free spirit: dreaming to fly! A touch of old (film), a touch to type, a touch of sunlight glinting, all add up to a touch of mastery at portraying a thought. Also thanks for the tips of how you did it. 206 Responses While this challenge is closed to new entries, we encourage you to visit the Reader to find other avid bloggers. Fitztopia Weekly Photo Challenge: Free Spirit! elspethc Spirit – free or not free?